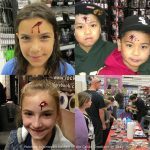 We are available for make-up applications at corporate events and parties, charity events, conventions, etc, where we’ll gladly beat up make-up your guests. Our team is experienced in doing make-up applications on adults as well as kids. 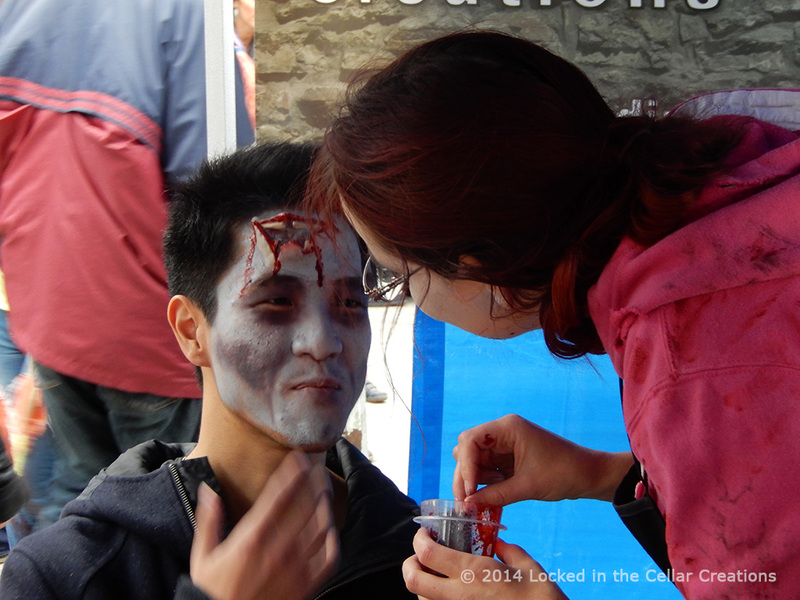 If you would like to have a make-up artist at your corporate or charity event and you want something different than face painting, we can provide your guests with ‘Painless Injuries’. Kids love freaking out people with the quick 5 minute injuries like a broken nose or a bullet wound. 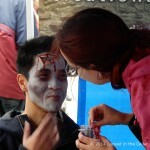 Teens and young adults usually prefer going all out with burns, bites or zombiefications. For our prosthetic applications we use the same selection of preferred, movie quality products and techniques that we would use on a film set, consisting of a combination of silicone, skin safe adhesive, scar wax, latex prosthetics, water based or grease paints, and a variety of theatrical blood, depending on the chosen injury. We usually charge a small amount for the make-ups (starting at $10), but all-inclusive deals are also an option of course. You can also find our Make-up Station set up at the various conventions and events in the GTHA. Stop by, say hi, and get injured! Check here where we’re going to be this year. Contact us for more information & quotes.